﻿﻿ Real estate in Menerbes Luberon : introduction of Provence secrete real estate agency, dedicated to Luberon sales and Luberon rentals. 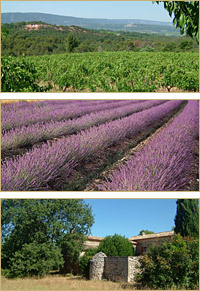 Beautiful properties for sale and for rent in Provence. Even in the country of the cicadas, so often traversed and sung, there remain some paradises unknown to the greatest number; nature is preserved, the art of living intact, the inhabitants benevolent. With us, discover these oases of peace, very often unusual, where distances are calculated in time ... and not in kilometers. We prefer the remarkable sites to the noticed sites. You too ? So ... That our meeting leads to the discovery, to the parallel circuit and that it does not lock us in a "panurgy" real estate and tourist. We urge you to astonishment, investigation, the quest for small and great finds. Architecture, nature, culture ... The menu remains open. The surprise hides between limestone and ochres, in the blue shades of heaven, at the foot of terraces and lavender fields ... Luberon, Alpilles and Monts Vaucluse have so much to say and to give. Installed in Ménerbes (after 7 years spent in Coustellet between 2002 and 2009), in the Luberon Park, we practice the profession of real estate agent; unloved profession of which we try to improve the image. We are passionate about the houses, their history, their charm and their architecture ... and wish to share with you our enthusiasm and our taste for quality. Our daily mission is to meet people and a house. And, every time, everything happens as if we were to find a farmhouse or country house for friends: a personalized and confidential welcome, an effort of understanding, listening and critical analysis of the determining criteria of your research. 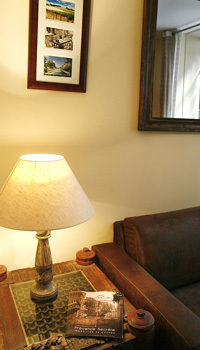 Then, we will suggest you to visit a selection of properties that we have for sale. Our goal is not to train you in disappointing visits; we will admit that we do not have the good you are looking for, when it is. But, we will strive afterwards to unearth your secret paradise. For years, we travel paths and campaigns, and keep in memory the properties visited during walks, lunches, parties ... because what is not for sale today could become tomorrow; as long as we are able to talk about it at the right time and with the right words. You will understand, it is thanks to our durable and honest relations that we will be able to find you the house that looks like you. 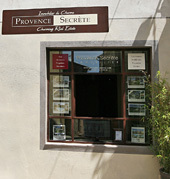 Of these offices installed in Ménerbes (84), the real estate agency Provence Secrète radiates on a true eden Provençal. It is here, between sea and mountains, between massif of Alpilles and Mont Ventoux, between Avignon and Aix-en-Provence ... in the department of Vaucluse that beats the heart of Provence. 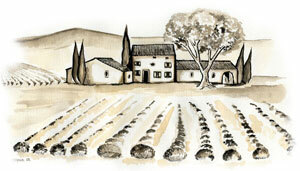 In the south of the department, you enter the famous Luberon country. The villages are charming, old and mostly high-pitched. In the kingdom of cicadas, the Provençal culture is everywhere: by the architecture (farmhouses, bastides, castles, mazets, bories ...), local products, crafts or traditional festivals. 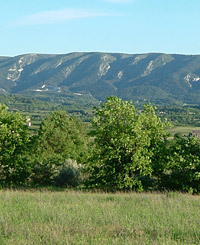 The Luberon offers a land bathed in light and wonderful historical and cultural sites to discover. Here, people have the accent that sings. They are good live and like to tease around a gourmet and generous table ... It is the picturesque Provence of Pagnol and Raimu. Preceding Peter Mayle and his bestseller "A year in Provence", many personalities and VIPs have a second home ... Gordes, Ménerbes, Lourmarin, Lacoste, Bonnieux, Roussillon have become over the years popular tourist spots by an international clientele in love with beautiful things, old stones and haute cuisine Provençale. But the Luberon, it is above all a preserved nature, immense forests, cliffs of ocher luminous and a natural park which gathers a large number of communes on the departments Vaucluse and Alpes-de-Haute-Provence. It can be discovered in many ways: on horseback, on foot, by bike or by air, many circuits are marked.